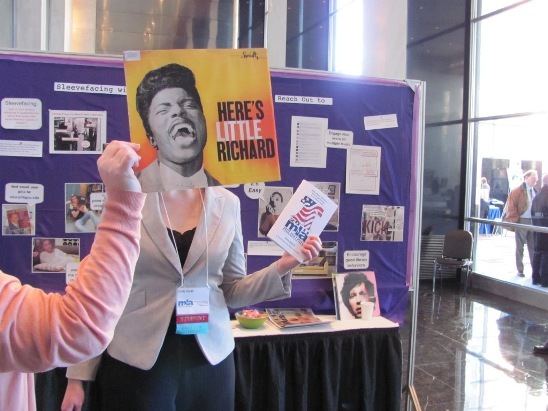 Little Richard had so much fun at last year’s Music Library Association conference, he can barely contain himself about MLA 2012. In this photo: Little Richard, Susannah Cleveland and Lindy Smith. Photo by Liz Tousey. This entry was posted in Pop and tagged Little_Richard. Bookmark the permalink.